It is with great excitement that we can officially announce the launch of the Global Learning Collective and our involvement in this groundbreaking global consortium of like-minded international organizations. 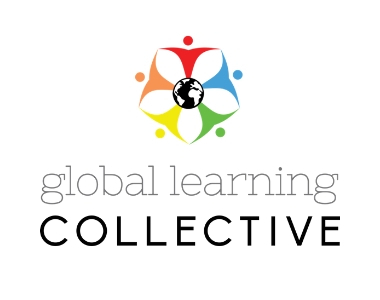 What is the Global Learning Collective? The Collective represents the collaboration (not the merger) of five personalized, mission-driven organizations that share similar values, offer a personal connection to your in-country host partner while providing on-the-ground expertise and local access in each region of the globe. Who are the members of the Collective? Why are we part of the Collective? Being part of this consortium enables us to expand our already strong network of partnerships to better serve customized program requests from nearly every corner of the world, from Asia and South America, to North America and Europe. As the only Collective member based in Africa, we are committed to highlighting Africa’s worth as a knowledge contributor. We are grateful to align ourselves with partners who support our commitment to sustainability and our passion for facilitating meaningful global educational opportunities. We value lasting relationships with our local communities, institutions, and partners, and strive to facilitate remarkable and sustainable transformative learning journeys on the continent. The Collective allows us to keep our autonomy and, at the same time, broaden our international reach. We are extremely excited about what the future holds for our continent and for each and every learner that places their feet on African soil. May we continue to change lives in, and through, Africa together!